Using your online credit is nice and easy! To get started you need to log in to your account on the website and choose the item(s) you are wanting to buy and add them to your shopping cart. 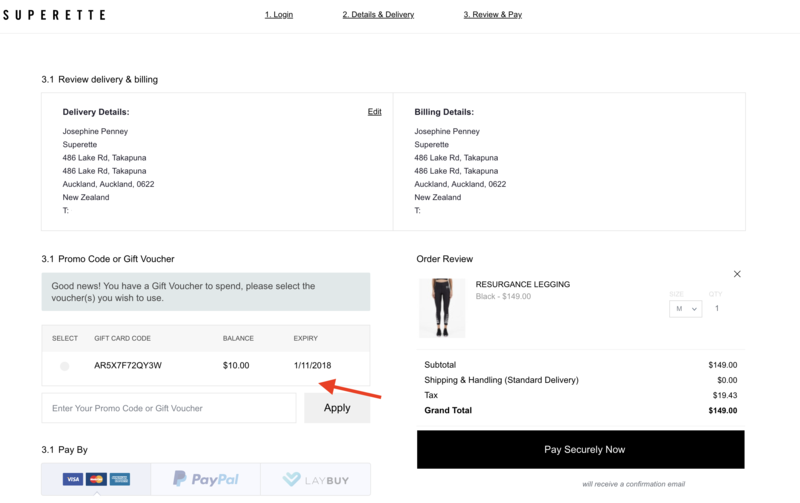 Then head to the checkout, pop in your shipping and billing details, step 4 is Payment Information, this is where your online credit will come into play. If the credit is not linked to your online account or comes from in store, you will need to manually enter it. There is a coupon code tab at the bottom of the screen, simply type the voucher number in there and apply it by pressing the tick. You should have received a copy of your in store receipt via email and your coupon code will be stored here. If you need to make up a difference then you can pay the remaining balance with credit card, Afterpay, Laybuy or PayPal. Easy! Live chat us if you are having any trouble and we can help you out!